Ideal for indoor use, the compact aesthetic design is suitable for installations where housing size and appearance are important. Mounting options are numerous, including surface, wall, and suspended ceiling mounting. The camera is available in 720p or VGA resolutions at 30 images per second (ips). The innovative multi streaming feature delivers various H.264 streams together with an M‑JPEG stream. These streams facilitate bandwidth-efficient viewing and recording as well as integration with third-party video management systems. The camera has a built-in microphone to allow operators to listen in on the monitored area. Audio detection can be used to generate an alarm if needed. The camera can also be supplied with power from 12/24 VDC power supplies. 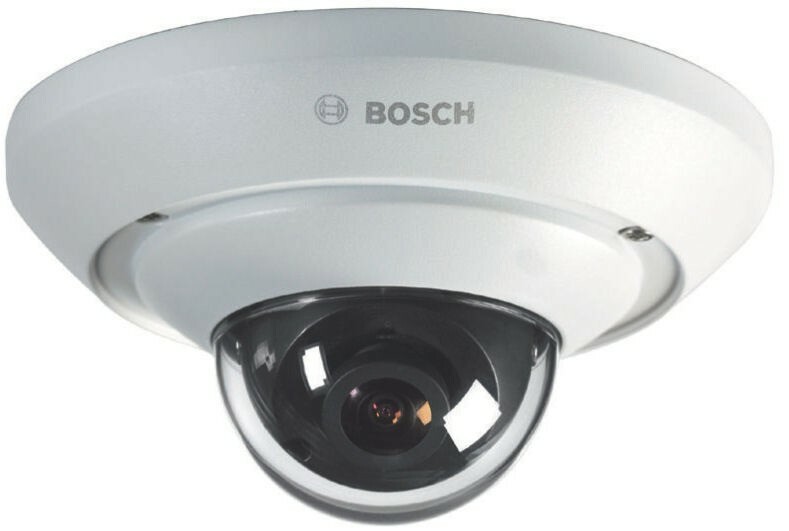 To increase system reliability, the camera can be simultaneously connected to both PoE and 12/24 VDC supplies. Additionally, uninterruptible power supplies (UPS) can be used, which will allow continuous operation, even during a power failure. For trouble free network cabling, the cameras support Auto-MDIX.